Dr. Rashmi Kumar is a Learning Specialist in STEM and works at the University of Pennsylvania, Philadelphia, USA. 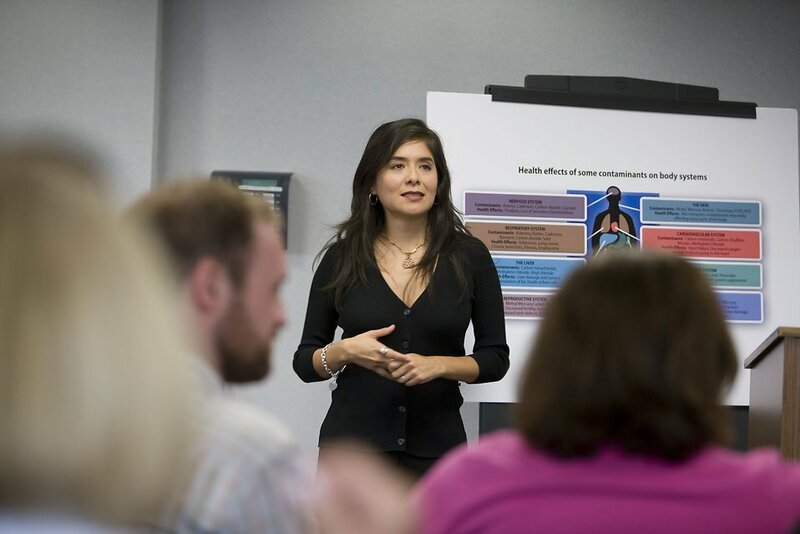 She has been recognized as a STEM Educator by the NASA Endeavor Project. SAGE is the proud publisher of her book “Teacher Education in the 21st Century”. SAGE has a fast- growing list of high-quality textbooks on education. Read on to understand the aspects of inclusive education. Inclusive education is about opening wide doors and reaching for the greater possibility. It is not about offering services at the minimum and sufficiently-enough levels; it is about providing the maximum to each student by removing the selective aspect of the pedagogical services. Yes, often, inclusive education gets a label that is indicative of remediation, deficiency, and minimal readiness. It can be broader, bigger, and bolder. There are four aspects of making teaching and learning in PK-12 classrooms holistic, inclusive, and accessible for students who demonstrate not just unique learning styles, needs, and preferences, however for all students who could benefit from pedagogical variations in the classroom. The ways in which we teach should be humble and less pretentious. We need to teach in ways that enables students to perceive that the content is within the reach of their ability and cognition. Reorganized teaching seeks ways to simplify learning outcomes so that students can walk out of the classrooms thinking that on the following day they will have a better understanding of the content. For starters, start by focusing on the big, authentic, and enduring ideas that inform smaller details. Spend less time on perfecting the smaller details of content in classrooms. Along with reorganized teaching, let’s raise the bar higher by integrating responsive teaching. This includes explicitly bringing learning platforms closer to students’ experiences, backgrounds, understanding, and aspirations. There is another aspect which is significant; it may seem paradoxical in nature at times. Teaching modes should allow for students to become independent thinkers capable of self-driven learning and at the same time be able to work collaboratively. The above might lead one to say, “How are these possible at the same time?” They are! These are not antithetical goals. In fact, they are corresponding aspects of the same goal. Multimodal teaching is simpler than it sounds. It pertains to mixing delivery of information through audio, text, and visual means. Using more than one resource increases learners’ understanding, retention and retrieval of the information. This is because of the associations and connections that are easily developed within students’ cognitive processes. Teaching is premised on intentional mixing up of resources such technology, art, mass media, and external print material. Organize classroom so that each working group includes students with varied strengths and proficiencies. Create assignments that encourage students to learn new skills and do not assign projects that pursue a narrow range of proficiencies. Over time, it will become easier to mix and match learning outcomes for the diverse needs of individual students. We need to steer away from separate subjects and siloed teaching. Let us excite students by doing just the reverse. Create learning modules that are thematic and merge content from more than one subject. When content from more than one subject area is used simultaneously, it offers students higher chances of making logical associations between and among the different sources of information. It encourages students to “apply their knowledge in novel situations to solve new problems” (Kumar, 2018, p.9). The aspect of interleaving is increasingly associated with the notion of interdisciplinary teaching, wherein, more than one skill is co-targeted. Develop learning modules that target development of two or more skills e.g., decimals and geometry or writing and composing music. Teacher Education in the 21st Century has adopted a broad and extensive interpretation of pedagogical goals of inclusion, inclusive education, and inclusivity. 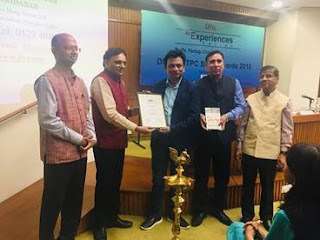 From its inception, the book has focused on an abiding core belief which has been carried out by the three co-editors and eight contributing authors. From the early stages of writing and throughout the numerous conversations amongst the writers—both—in person and virtual, a deep commitment was made to focus on the notion of inclusive education and bring it to the forefront of discussions. The book has purposefully expanded the ideas presented in the book to include the teaching of students on a wider scale of cognitive, physical, socio-economic, cultural, familial, as well as geographical attributes. Our guiding objective was to present a renewed platform of teaching and learning for the widest groups of students in the Indian landscape. 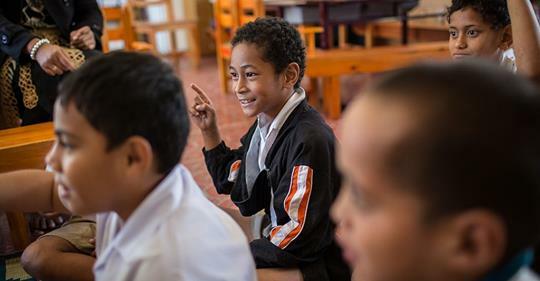 Our goal was to offer inclusive education as a mainstream aspect of teaching rather than one that supports it for specific sub-groups of students because of lesser developed learning attributes among students. Throughout each chapter, we have provided working models and examples to take into classrooms. 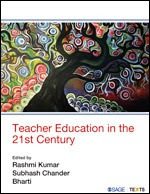 Read the SAGE Textbook Teacher Education in the 21st Century by Rashmi Kumar and get valuable insight on the demands of teaching in the 21st century for development of pedagogical practices. If you have any questions for the author, please write to us at marketing@sagepub.in. Click here for the complete list of textbooks. This article was originally published on University Express, www.universityex.com on February 05,2019. Stress levels are rising among employed Indians, nearly 80 per cent of working professionals in India complain that they suffer from stress. 'Workplace stress' or 'occupational stress' is identified as a medical hazard, which has serious physical and psychological implications on individuals' well being. Here is a 2-minute read that can help you in keeping stress at bay. Eat and sleep at the same time as much as possible. Disconnect mentally and electronically from work at least an hour before sleep time. Our work is not that important, and folks, before we had infrequent connections and the sky, did not fall. 2. 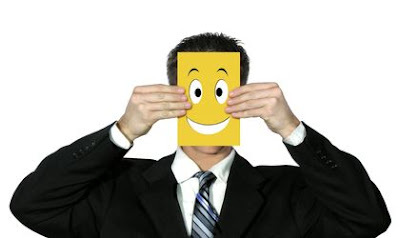 Difficult Boss, Office Politics and Competition? Dismount a dead horse. It is difficult to make it work, and far easier to search and settle on another live horse. This is a good mental model for thinking about your relationship with your boss. Be gentle with yourself when you regret, ask if we are judging too harshly from the benefit of hindsight. 4. Dealing with a Surfeit of Information? Reason actively. Construct your core argument and then fill in with information. Running behind the information is wasteful. 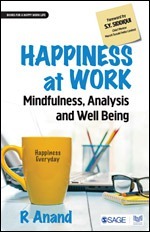 Engage in joyful attention once every 4 hours in your working day. Sit down to just absorb an object in front of you. Just notice all the details, wonder what caused it, wonder how it will change tomorrow. The idea is to externalize your attention and slowly and deliberately take on the world one object at a time. You can also list your worries and either take action or take mitigating action or make a choice to face up to it if it happens. Click here for the complete list of books which will help you in becoming top-notch professionals. 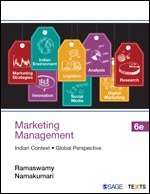 Congratulations on the publication of the 6th edition of Marketing Management. This title is already recognised as a legend, with the previous 5 editions having done so well. How do you see the latest edition? This book is the pioneer, published 35 years ago; the first Indian text on marketing, presenting a unique, India-centric approach to the discipline of marketing. 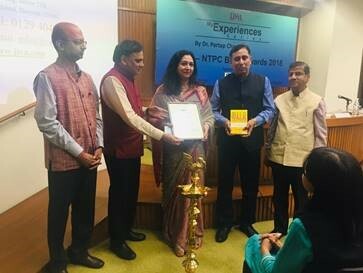 The previous five editions with forty odd reprints have established the title as a popular text on the subject for the MBA programmes of the universities and B-Schools in India and it has now triumphantly entered its 6th avatar. The teachers and students have solidly stood by the title. Without their support, such achievements would never have been possible. So, the first comment, Ms Namakumari and I would make is, “Thank you so much, dear teachers and students, for making our book such a success”. To what would you attribute this outstanding success of this title? It is simple. The title filled a need. When you offer a product that fills a felt need, it sells. In the past, our B-Schools were largely using books written in the North American perspective. This was largely because a quality book on Marketing written in the Indian context was not available. When such a book was made available, the users took to it with gusto. Today, most of our B-Schools are quitting the foreign books on Marketing and preferring Indian ones. And, among Indian texts, this book is considered unique. A book that is wholly India-centric, comprehensive, and apt for the times. This book has no doubt proved to be a time-tested and distinctive resource for teaching marketing. And, many Professors in leading B-Schools use it as the text. Could you please say “How is the latest edition different from the previous ones”? I would say “the emphasis on the Value-delivery theme”, is the prime distinctive feature of this edition. Of course, editions 4 and 5 had also laid emphasis on the “Value- theme”. But the present one makes a significant contribution to marketing-teaching by offering the “value concept of marketing”. It strengthens the foundation of marketing-teaching. And, it does not stop with introducing the concept; it integrates it into all the lessons in the book, end to end. It is totally built around the Value theme. It makes the students realise that ‘value delivery to the customer’ is the crux of marketing. The second thing I can say about the latest edition is that it is “the book of the times”. It is very relevant to the contemporary times. These are extra ordinary times for marketing. Marketing has not only been changing rapidly but has also been going through a predicament. Its study and practice need a change, right now. On one hand, this new edition preserves the strengths of previous editions; on the other, it introduces new material to enhance the quality of marketing learning. One important feature is the re-organisation of topics and their integration into more homogeneous modules, optimizing the number of Chapters in the process. Has the USP of the book undergone any change in the latest edition? Its USP has not undergone any change in any fundamental way. It, however, has attained an elevation— an elevation from ‘An Indian text’ to ‘The authentically and wholly Indian text’ on marketing. The compelling logic for an Indian text is well understood today and an ‘Indian text on marketing’ is no more a big deal. There are many and the tribe is growing. But this one is the ‘authentically and wholly Indian’ one. To say, it is not a mere adaptation of a text created for an alien student community, is an understatement. It has been written specifically for the Indian student. The Indian setting and the marketing topics covered are woven together like warp and weft. The book has a strong USP in comparison with both the foreign texts and the other Indian texts on the subject. That the foreign can be described as “books with some Indian examples”, this one is an “Indian book”. Please elaborate a little on the new feature—Marketing Insight—that has been added to the latest edition. ‘Marketing Insight’ is a major new feature of this new edition. It consists of exhibits, spread through all the chapters. These exhibits provide ‘Marketing Insight’ explaining how high-performing companies, Indian as well as Global, are excelling in various aspects of marketing. These are designed to make teaching and learning more concrete as well as more enjoyable. We have tried to make this book a welcome companion for the teacher; teaching marketing through this book and the supporting Instructor resources will make the class room live; and teaching a finer experience. Just as it makes teaching a finer experience for the teacher, it makes learning a fine experience for the students. How important is it to bridge the gap between learnings in B-Schools and execution in the corporate world? Does your book bridge this gap? Why do so many of our youngsters go abroad for higher studies spending so much money? Many of these youngsters go abroad for MBA. One main reason for this is the yawning gap between learnings in our B-Schools and execution in the corporate world. 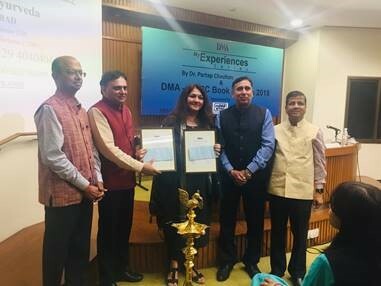 The education they receive in our B-Schools does not equip them with the knowledge and skills needed for managing businesses in the real world. The inadequacy or inappropriateness of the curriculum and the textbooks must take the major part of the blame for this. While this applies to several subjects of management-education, it is especially telling in respect of marketing. Our BSchools, obviously, need to ramp-up the curriculum on marketing and introduce the right textbooks. I hope this new book will help bridge in some way this gap between learnings in BSchools and execution in the corporate world. It will, in any case, equip the students to comprehend marketing in a manner relevant to the Indian setting. Nistha Tripathi is the bestselling author of No Shortcuts that features the journeys of 15 successful founders from India. She is also the founder of Scholar Strategy, an education counseling company that prides itself in helping 100s of students getting into top universities across the world including Harvard and MIT. I see many youths influenced by Warren Buffett’s advice – ‘really successful people say NO to almost everything’. What students miss in that statement is that it is talking about what ‘successful’ people do, not what makes someone successful. Saying NO works only for people like Buffett, Gates etc who have already found a direction in life & whose time is much more valuable than exploring a mediocre opportunity. It does not work for freshers who are just starting out where an opportunity can be life changing. Your time right now should be spent in exploring opportunities & figuring what works for YOU. For that, you need to say YES much more often. Do this so that you can find out what you should be spending time on eventually. When I was pursuing MBA at NYU Stern, I knew I wanted to get into startups which do not have a set recruitment path like Investment Banking or Consulting. Full year, I was scrambling & saying YES to things like unpaid internship with a Venture Capitalist, working extra hours in a fellowship program, and organizing Stern’s first Entrepreneurship Summit. All these sucked out my time but this is what helped me get a coveted job offer even before I had graduated. I again said YES when the Manhattan based startup asked me if I want to start right away. I dropped out of the MBA program & started working with them. That kick started my journey in the world of startups and laid the foundation for me to come back to India, start my own venture Scholar Strategy and write bestselling books. Indian students can do so much better by developing this killer drive and go getter attitude. Unpaid internships are a great way to learn and develop skills which can immediately give you an advantage over someone who doesn’t do it. We are having a severe employment and skill development crisis in India. One cannot rely on college placement alone to get employed. You need to be creative, reach out to people you look up to, ask for work and if given an opportunity, kill at it. Say more Yes’s initially so that you can have the luxury to say No later on. Read the never-heard stories of Freshworks, Faasos, Unacademy, Zerodha, Slideshare, Pulse, Aspiring Minds, Madhouse/Morpheus, Akosha, Ather Energy, Instablogs, Greyb, LikeaLittle, Wingify and Fashiate in this book by Nistha Tripathi. Click here to browse through complete list of professional titles from SAGE and be future-ready. This article was originally published on University Express, www.universityex.com on March 09,2019. A language is not taught, it is learned. Santanu Sinha Chaudhuri, a teacher who worked for the British Council Teaching Centre (Kolkata), teaches General English, Business English, and Spoken English to adult learners. He has conducted numerous workshops at renowned institutions on diverse topics such as presentations, International English, and dealing with difficult people. SAGE is the proud publisher of his book Learn English. While teaching English for the last 18 years, I realised that people do not learn English (or any other second language) in classrooms. Then how do they learn? Learning a language is similar to acquiring any other skill like music, cooking, or driving. Someone has to teach you the basics – formally or informally – but later, how good a musician or cook you became would depend entirely on your own efforts. Experts say the immersion method of language learning is the best way to learn a new language. If you fall into a community where everyone speaks English, and if your life depends on speaking the language, then you pick it up. For example, if someone with limited English happened to start a career in New York or Brisbane tomorrow, she will have become a fluent speaker of English before a year was over. Period. However, the situation is completely different for English learners who don’t live in an English-language environment. For example, Ravi from the beautiful countryside of Kerala spoke only Malayalam in school, and mostly Tamil while he did B.Tech. in Tamilnadu. Presently, he works in an automobile plant in Haryana, where everyone speaks Hindi. Ravi is a confident young man who speaks three languages and “knows” English. But unfortunately, he finds it impossible to secure a corporate job, or enrol in a US university (or a good business school) because he cannot speak and write English effortlessly. He knows English will open up a wide horizon of possibilities before him. But how does he get there? I am Ravi. Rather, I was. When I began working, I realised that my bookish knowledge of English was of little use in the real world. The immersion method wouldn’t work for me (just as it wouldn’t for Ravi) because like most places in India, my environment too did not offer a lot of models of good English. Still, I hung on. Read international magazines and newspapers, The Times, The Guardian, you name it. He can also listen to the infotainment channels from the BBC to Nat Geo, watch YouTube, School of Life, TED Talks videos, and listen to podcasts and audio books while he drives. He can also read books. He must jot down in a notebook the interesting new expressions he comes across. He must also return to his wordbook regularly. Language experts say unless we go back to new words / expressions four to five times, we may not remember them. Ravi must also practice the new language. First in his head: he should imagine situations where he will be able to apply the new language; and second, in real life, whenever he gets an opportunity. Therefore, from now on, Ravi should not cut off the intrusive tele-caller. Instead, he should engage her in a long conversation. He should also share his experiences and thoughts on the social media and respond to others’ posts. He could also try to form groups of likeminded people to practise English. Or he could teach someone English. 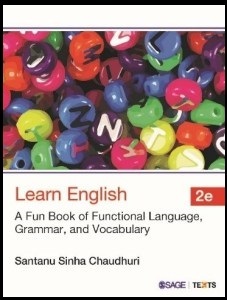 Additionally, Ravi would find it useful to have a guide to explain to him the inner structures of the English language. Once he understands the structure, it will be much easier for him to identify and remember good English. I have always thought that while there are millions of self-learners, there is not one good self-learner’s manual in English. When I started teaching English, I also began compiling the essence of the simple processes that I followed to learn English, with particular reference to the points where Indian learners can go wrong. The result is the book Learn English, A fun book of Functional Language, Grammar, and Vocabulary which will demolish your fear of and troubles with English. Click here for the complete list of textbooks which will help you in your course and thereon. I believe the book will help you in your journey of mastering English. All the best. This article was originally published on University Express, www.universityex.com on March 08,2019.